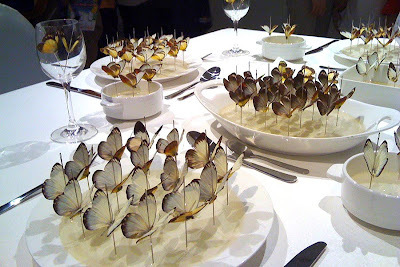 Butterflies of Singapore: Murder in the name of Art?? No animal no matter how small should be hurt for the sake of Art. If SAM condones killing animals for Art, then where does an artist cross the line? How about hamsters? Is that okay? Many many skinned hamsters? To show how cruel society is, by simply repeating that cruelty in Art? No animal should have to die for Art. Harsono's work is disgusting and sick and he is exactly the people he tries to slime. The complicity of Singapore Arts Museum in the tacit approval of such senseless killing of insects in the name of art is appalling! Please right what is wrong before the world have a laugh at the hypocrisy of it all! This really leaves a bad taste in the mouth. SAM should not have endorsed and support such an insensitive act. No living thing big or small should be sacrificed in the name of ART or for any other matters. All living things have equal rights to be in this universe and humans (supposedly the higher beings?!?!?!?) does not have any rights to eradicate them from their natural environment! 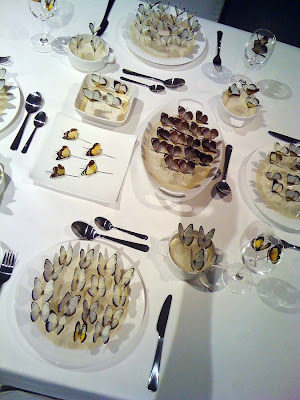 There was a similar art display at the Esplanade in January, featuring thousands of seashells. My Flickr set showing the sheer number of shells can be seen at this link. I was horrified and quite disgusted. They value what they believe and perceive as right through the notion of egoism where the act of self-interest supersedes the rest. As long as the ends justify the means, it is fine with them. An act of unethical and immoral behaviour - the notion that overwrites what was displayed, art. Art do not condone killing, for such a display, violated subjectivity and humanity. According to Roger Fry (cited in Leo Tolstoy), ‘art is the transmission of an emotion felt by the artist marks “the beginning of fruitful speculation in aesthetics” It seems to suggest an observation done and portrayed to an artist creativity on subject matter. However, before portraying, shouldn’t one consider ethics on such ground? This is why funding/allowing engineers to work on them created machines of mass destructions. This is where our forefathers were part of the system, part of where people have long forgotten that we still possess the fundamental value of humanity. We can use what we’ve learn to enhance our environment or we can use them to kill others, and in this case, it shows how man being the better beast, kills in the name of art; forgetting the fundamentals of the basis of art or was the subject portraying the art of killing? Subject has failed on many grounds and should unlearn, learn and relearn the fundamental of what art truly is. 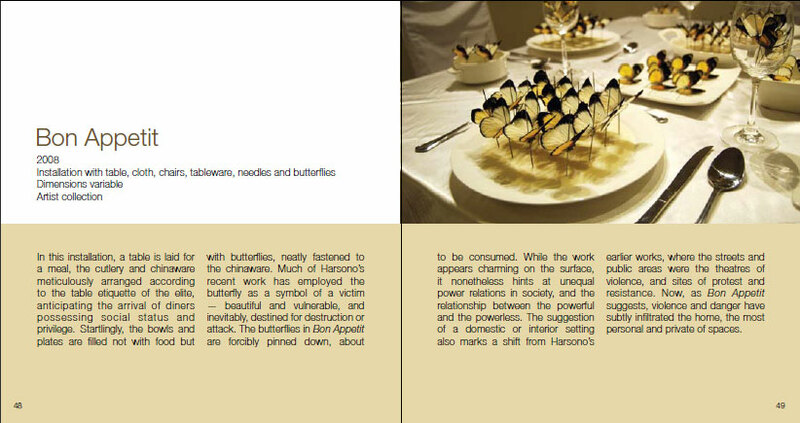 A sad day for butterfly lovers in Singapore. No matter how humane these creatures are put to their death. It sure doesn't bring across the right signal to the audiences especially the young ones. And how are we supposed to embrace, support and educate efforts to our biodiversity conservation when even SAM is allowing such act of cruelty. Art should be treated with respect living or dead. And if this is what art is, it is a distasteful one for Nature lovers. i saw this yesterday too and there's a huge art piece with dead bees as well... i was very disappointed and outraged by this! I'm also glad that this blog has aired my sentiments on this subject.